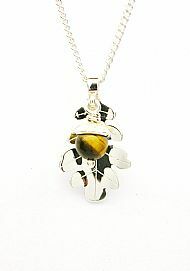 A selection of Jewellery inspired by my surroundings in the countryside of Argyll. 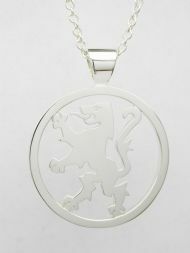 Pendants are supplied on 18" Sterling Silver Chains , some can also be supplied as Brooches for the same price. 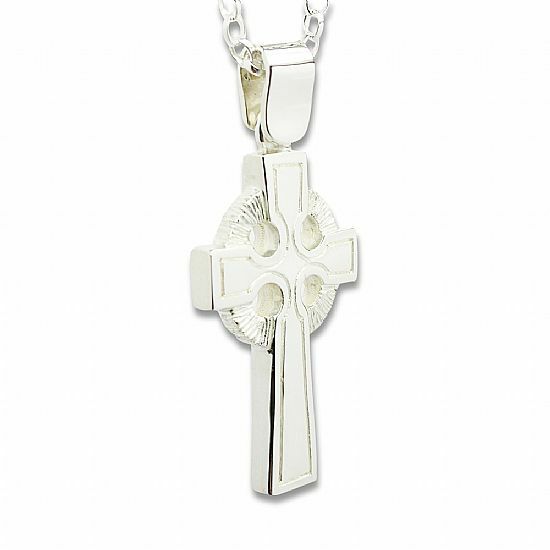 All pieces can be supplied in 9, 14, or 18ct Gold, please ask for prices. 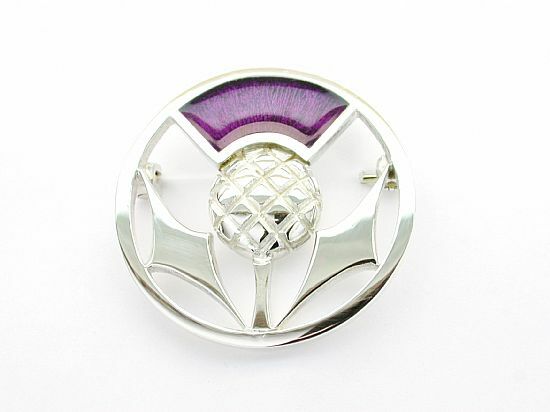 Sterling Silver Scottish Thistle Brooch. 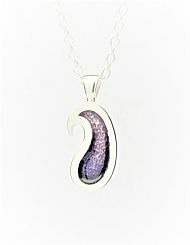 With Cold Enamel. 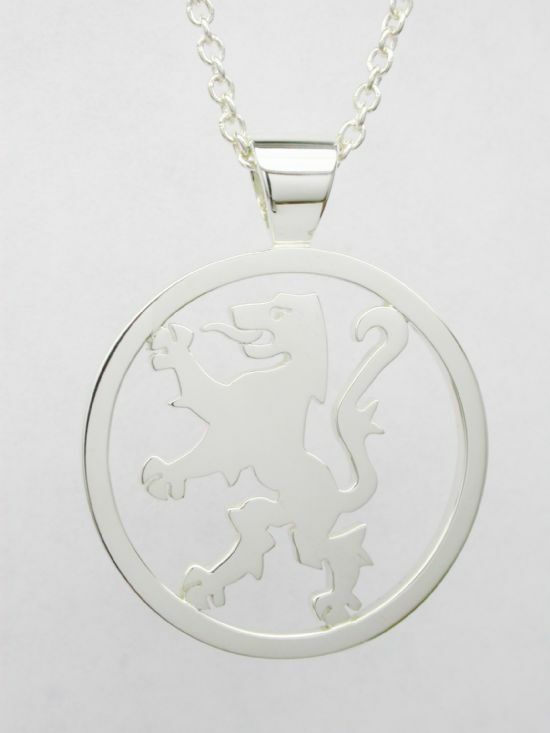 Approx 30mm Diameter. 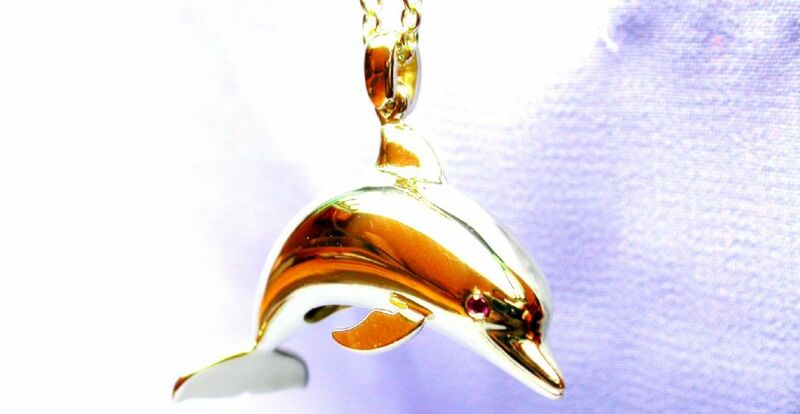 Available as Pendant. 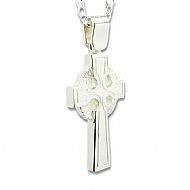 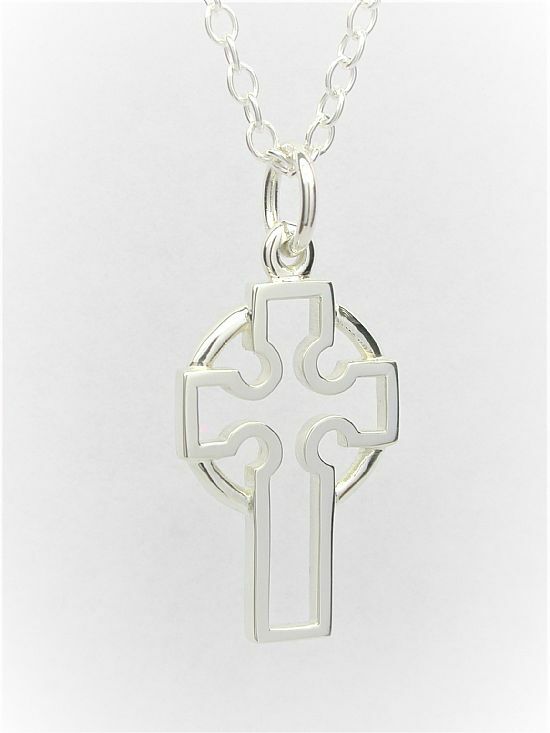 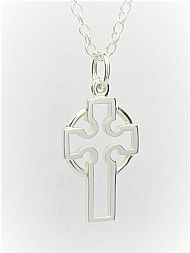 Sterling Silver, Double Sided Celtic Cross Pendant. 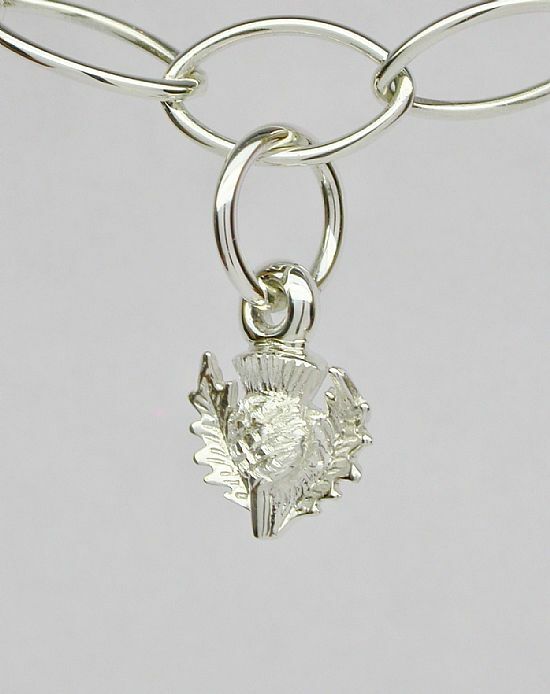 Sterling Silver Tree Of Life Pendant. 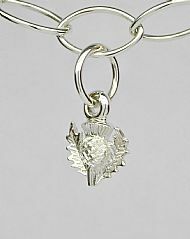 30mm Diameter with moving Leaves. 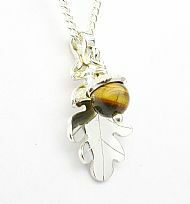 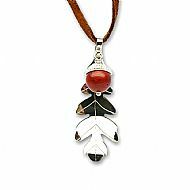 Sterling Silver Oak Leaf Pendant, with Jasper Bead Acorn,also available with Green Jade Acorn on Green Thong. 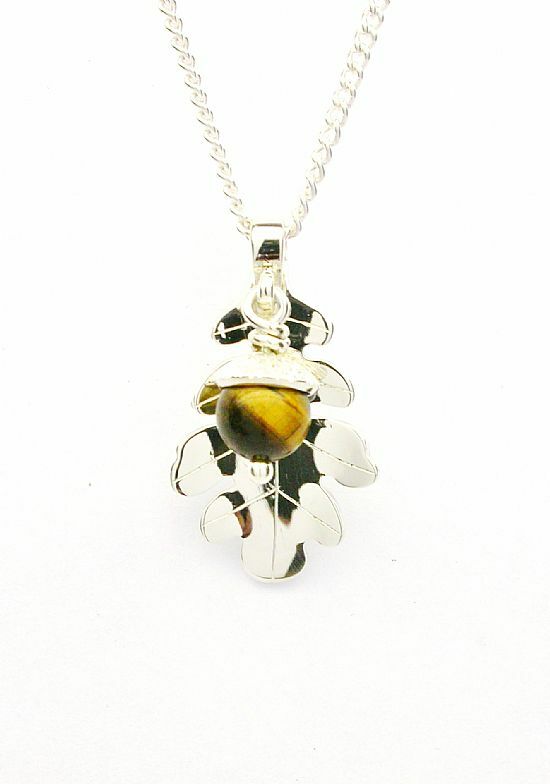 Pendant Approx 45mm Long. Oak Leaf & Acorn Pendant. 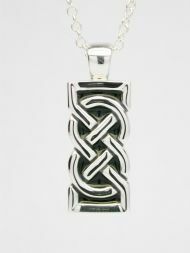 Sterling Silver and Enamel Paisley Pattern Pendant. 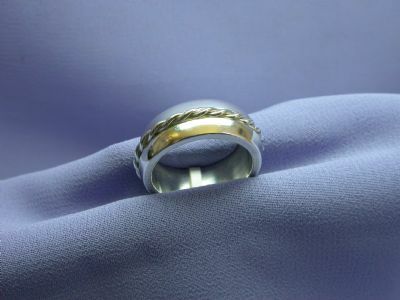 approx 28x12mm including bail. 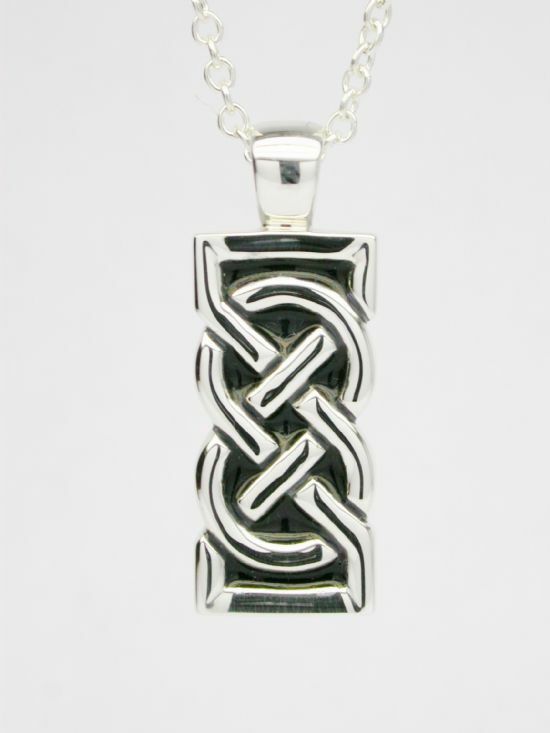 Sterling Silver and Enamel, Celtic Knot Pendant. 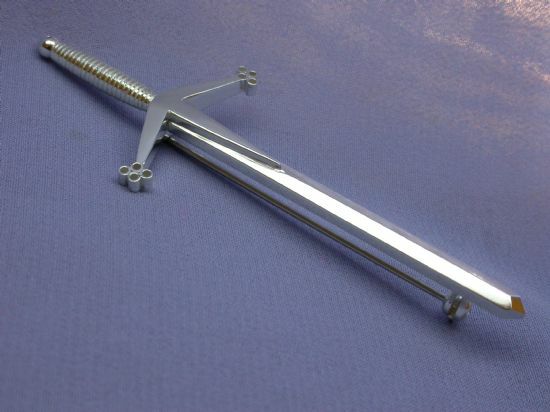 Approx 31mm high including Bail. 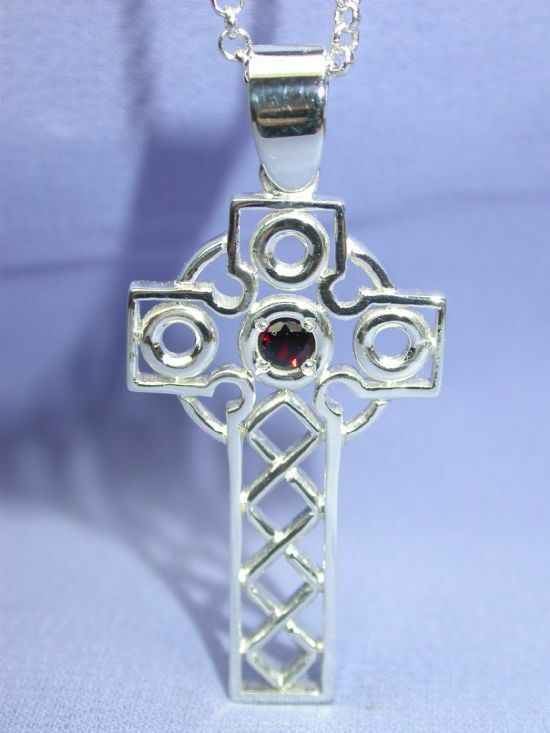 Sterling Silver,Pierced, Celtic Cross Pendant. 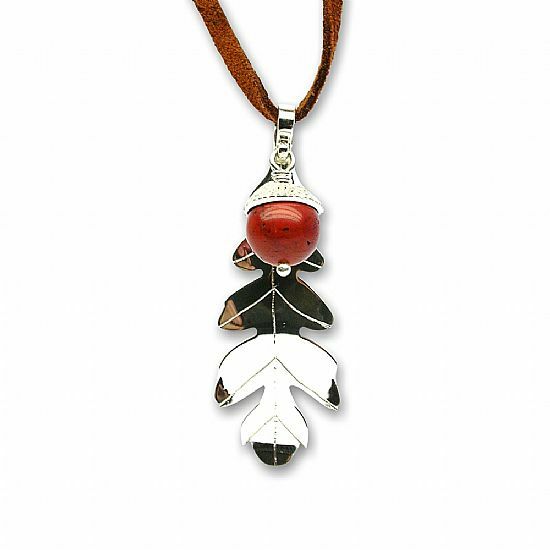 Set with Garnet. 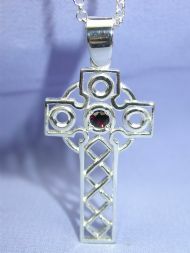 Other Gemstones available. 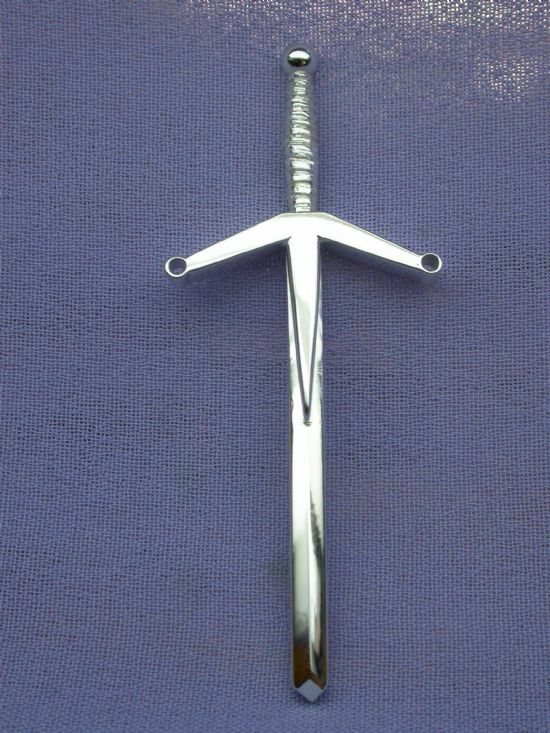 Approx 49mm High including Bail. 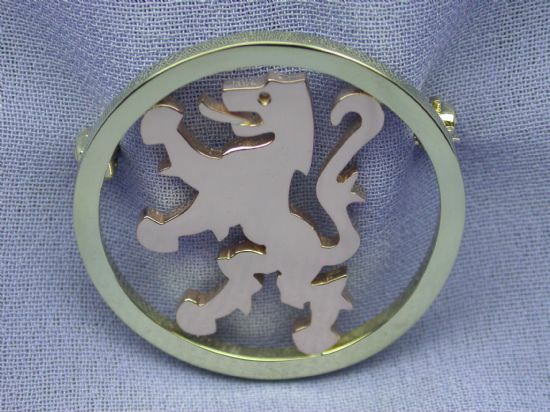 9ct Red and Yellow Gold Scottish Lion Rampant Brooch, also available as a Pendant.Price available on request. 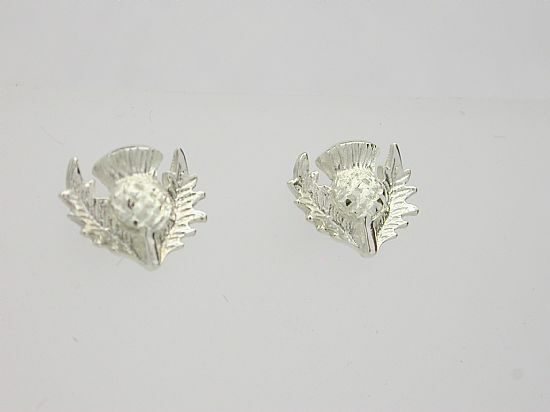 Sterling Silver 'Mini Thistle' Stud Earrings. 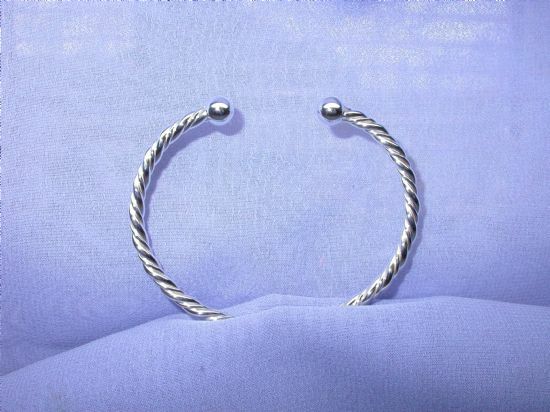 Sterling Silver Torque bangle, Four Silver wire strands, end Beads 8mm. 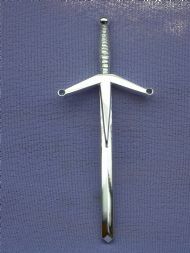 Sterling Silver Claymore Kilt Pin,approx 15grams and 93mm long. 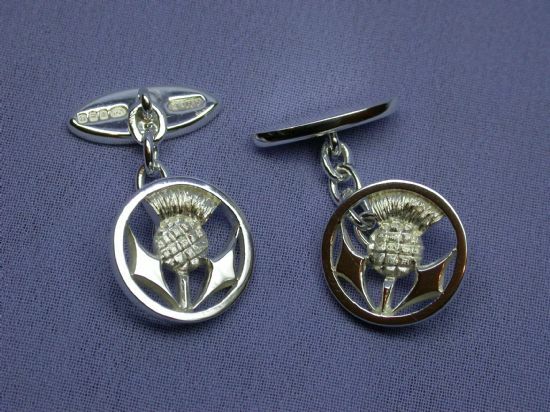 See Matching Tie Pin Below.